Team Sonic Racing will release on Nintendo Switch, Xbox One and PlayStation 4 on May 21, 2019. This morning, Sega put out a new video for Team Sonic Racing that highlights the different team gameplay mechanics including skimboost, slingshot, item swapping, Team Ultimate and more. Highlighting the video is gameplay from not only the Planet Wisp stage, but the new ice level first shown at San Diego Comic Con along with some Big the Cat and Amy Rose gameplay. Team Sonic Racing is available this winter. Sega has just released the E3 trailer for Team Sonic Racing and its got a rocking new Crush 40 tune to accompany it! Team Sonic Racing is being developed by Sumo Digital and will be released this winter for Nintendo Switch, PlayStation 4, Xbox One, and Steam. Less than a day following leaked images of the cover and in-game images, SEGA have officially lifted the curtain on the Team Sonic Racing. The game is being developed by Sumo Digital, who were behind the previous Sonic and SEGA All Stars titles. The trailer above only shows demos a CGI introduction to the title, but confirms the name, it’s multi-platform release on Switch, PS4, XBox One, and steam, and a an expected release in Winter 2018. The trailer announces the opening of pre-orders for the game, with a link to www.TeamSonicRacing.com. Are you looking forward to the game? On which system do you plan to buy the game on? Let us know in the comments below! UPDATED WITH HIGHER QUALITY IMAGES. The full title of the mystery Sonic game along with what’s likely the official cover has finally been revealed thanks to a leaked image on Wal-Mart’s app. 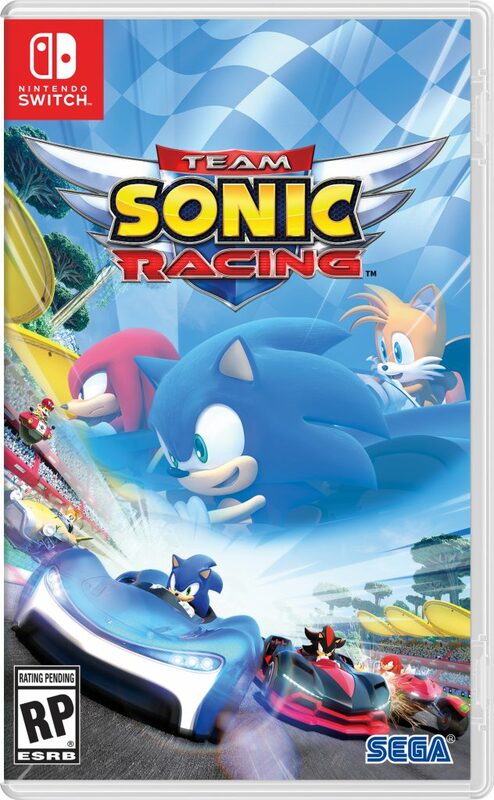 Team Sonic Racing (Super Sonic Racing would have been so much better IMO) is the third in the Sonic racing series in the past ten years, only this time there doesn’t appear to be a regular Sega character in sight. The cover is from the Nintendo Switch version, but it should arrive on PS4 and XB1 as well. Just two days ago, Sega teased the game from it’s official Twitter account. This leads me to believe we should be getting a full announcement later today if not Thursday. Team Sonic Racing is likely due this fall or holiday season. 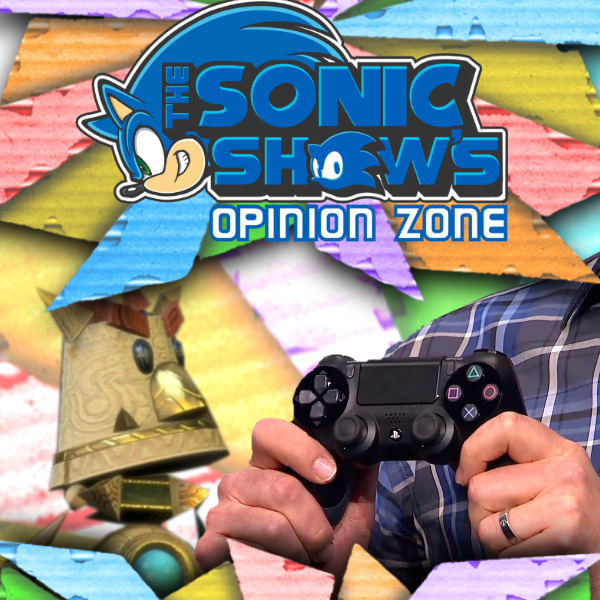 We’ll be giving you more and more coverage of this game is we get closer to E3. Credit goes to Sonic Revolution’s own Lidice “Angelidia” Mendoza for discovering the leak. A new Sonic Forces trailer was recently released from Sega of Japan. This new trailer focuses more on the story mode, but also gives more detail on what you can expect from the game more than any trailer released so far. This includes being able to borrow your friend’s avatar, a sneak peek at more stages and more details on customization options. So what do you think? Has this trailer got you any more hyped for the game? Let us know in the comments section. Here’s a translated version on the trailer from Woun. Sonic Mania is out now on Nintendo Switch, PlayStation 4 and Xbox One, and set to release on Tuesday 29th August on Windows PC. Here’s all you need to know about getting a hold of the game on your system of choice, and all the merch we know of! As promised, Sega have uploaded the HQ gameplay of Modern Sonic that was shown last night at SXSW onto YouTube for all to see. Also we have two high-quality screenshots straight from Sega to share as well! Update (7:18PM EST): There was also a skit before the reveal that seemed to indicate the plot of the game. Apparently, it might take place in a world where Sonic has failed, and Eggman has finally won. It was just announced at the panel that the official name for Project Sonic 2017 is now Sonic Forces. More as it happens! This post will be updated by as it comes in. We’ll get the official assets and will update here in just over 15 minutes. Sonic Forces will be released on PlayStation 4, Xbox One, Nintendo Switch, and PC as announced before. The official Sonic twitter account has shown off another teaser image, depicting the giant robots seen in the original trailer of Project Sonic 2017. The image was accompanied by the simple tease of “See you at @SXSWGaming!”. SEGA held a livestream event to celebrate the recent launch of Sonic Boom: Fire & Ice in Japan, with series director Takashi Iizuka in attendance among others playing the latest Boom instalment and the upcoming Sonic Mania. However, a pair of bombshells has dropped since the event, this time concerning the far-flung Project Sonic 2017 launching next holiday season. With translations provided by Source Gaming’s PushDustIn, it is confirmed that SEGA has plans to reveal “a completely new character in Project 2017.” We also now have a better idea of the gameplay, which is expected to follow the formula established in Sonic Generations with classic 2D and modern 3D levels – however, a “brand new component” is also going to be introduced. If you were interested in the filming process behind the Mania infomercial, then have no fear: Sonic’s got you covered. Check out the behind-the-scenes below! 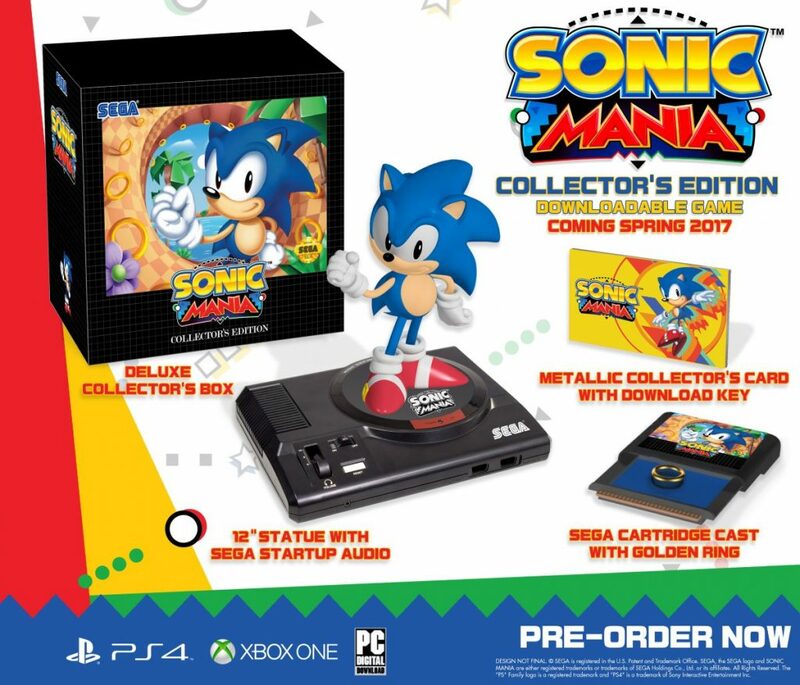 Earlier today the Sonic the Hedgehog Twitter announced the Sonic Mania Collector’s Edition for North America. In addition to a download code for the game itself (of course!) on a metallic collector’s card, the pack features a 12 inch statue of Sonic standing on a Sega Genesis console – with added “Sega!” chorus when you flip the power switch – and a mock Genesis cartridge for Mania that opens up to reveal a golden ring. It’s about at close as we’ll get to an actual Sonic Mania cartridge! The PS4 version briefly appeared as sold out, so supplies may be limited. The Amazon listing also mentions a release date of May 31st 2017, which I believe is the first indication we’ve had of a solid release date. Time will tell if it turns out to be true. No word on what (if anything?) the rest of the world is getting, but I can only hope it looks as good as this pack does! Sonic Mania is the return to form classic fans have sought after for years, and expectations are high since its debut appearance at the 25th anniversary party in San Diego, revealing a remixed Green Hill Zone from Sonic the Hedgehog as well as a brand new stage with Studiopolis Zone. With this year’s PAX West winding down, more footage from the game has surfaced, all direct feed and featuring both Zones on full display! Check out GameXplain and Polygon’s differing playthroughs of these levels after the jump, and be sure to leave us your thoughts in the comments. We feel we have neglected our iTunes crowd for a while so we return to your ears with a new series of discussion shows. And how do we start off? By not talking about Sonic.